MOSCOW -- The Russian military says major war games set for next month will not threaten anyone. The Zapad (West) 2017 maneuvers organized jointly by Belarus and Russia have raised NATO concerns. Some alliance members, including the Baltic states and Poland, have criticized Moscow for a lack of transparency and questioned Moscow's intentions. Russia-West relations have been badly strained over fighting in eastern Ukrainian. Russia's Deputy Defense Minister, Lt. Gen. Alexander Fomin, told Tuesday's briefing that Russia will invite foreign observers to the drills. With volunteers and U.S. tanks, Estonia tells Russia it's "ready to fight"
He said the maneuvers in Belarus and Western Russia on Sept. 14-20 will involve 5,500 Russian and 7,200 Belarusian troops, about 70 aircraft, 250 tanks and 200 artillery systems and 10 navy ships. 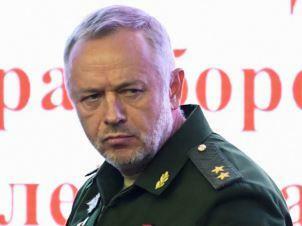 Fomin rejected what he described as Western "myths about the so-called Russian threat." In February, U.S. officials said Baltic nations had conveyed their mounting concerns about the looming Zapad drills, saying they believed Putin could mass 100,000 troops along the Belarusian borders; the very edge of the Kremlin's sphere of influence with eastern Europe. At a Senate Foreign Relations Committee hearing on Russia early this year, Sen. Bob Menendez, D-New Jersey, said he had met recently with Baltic ambassadors who said the plans for the September war games could involve that many Russian troops, which would be a significant increase on the number that took part in previous drills under the same name in 2013 and 2009. U.S. Gen. Phillip Breedlove, who was the Supreme Commander for NATO until May last year, said the name for the exercise -- the Russian word for "west" -- combined with the fact that he also had heard it could involve in excess of 100,000 troops was "a bit alarming." Breedlove cautioned at the time, however, that the Kremlin had not released figures of its own regarding how many troops would take part in the exercises, and that Russian officials have been known in the past to spread misinformation to serve their interests. "The Russians have ordered 83 times... the rail cars that they ordered for Zapad (in 2013)," Breedlove said at the Senate hearing, figure she said suggested the 2017 drills "will be demonstrably bigger." Russia said 10,000 troops took part in the 2013 drills, which spanned across Russian territory and involved all branches of its military, but some Western defense analysts have said the actual number was likely closer to 70,000. "Nations have a right to exercise," Breedlove said in February. "Nations do not have a right, I think, to exercise irresponsibly on other borders and in configurations that represent offensive capability." "I think the problem with this exercise is size and scope, directly on the border, a name that orients it west, and the fact the unpredictability of it makes it very alarming," he said.